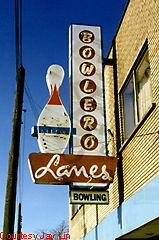 While ten pin alleys are dropping like flies (at least the unique marquees) in the States, the sign for Bowlero Lanes still stands proudly in Ontario, Canada. Pay this place a visit and bowl a few games while in town. 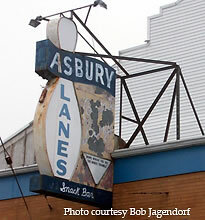 Check out this old sign out front on Asbury Lanes, in Asbury Park, NJ. 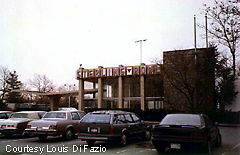 Asbury Lanes was recently converted into an entertainment center with a bar, entertainment stage, and food service added to to its old staple bowling. 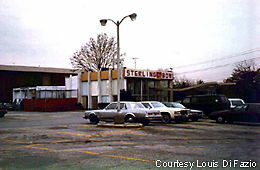 For more information, check out the Asbury Lanes website. 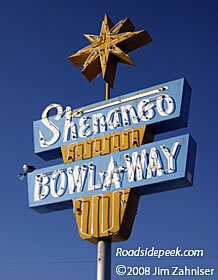 Over in New Hyde Park, NY is a very special bowling alley called the Sterling Bowl. What is most interesting about this structure is that the small building on top only serves as a lobby and entrance. Once you enter, take an elevator ride (or stairs) to the lower bowling level where you find the entire bowling alley, front desk, restaurant, and bar underneath the parking lot! No wonder the sign in the picture at the below left blares "NO TRUCKS PERMITTED!" 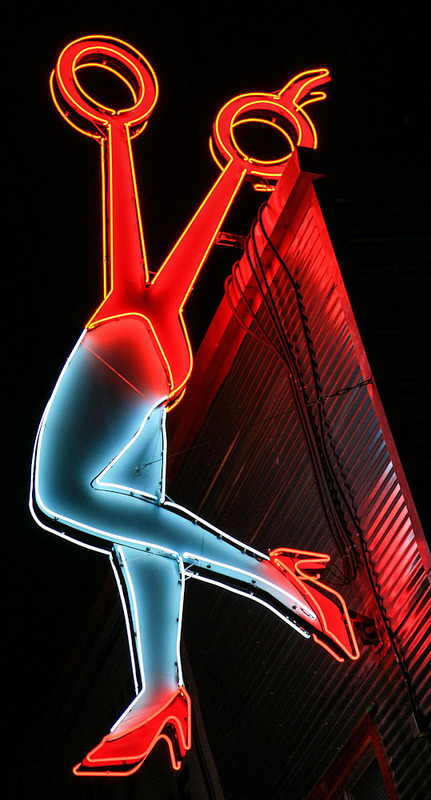 The interior of the treasure is classic Googie from the lights to the Terrazzo flooring. (Left) Check out the entranceway and "NO TRUCKS" sign. 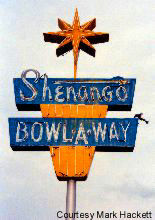 The Shenango Bowl-A-Way is a fine example of roadside of the mid-century. 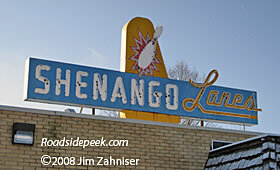 From its choice of colors to the star on top, this Route 422 treasure in Ohio is a treasure.